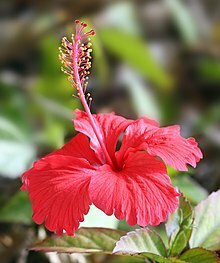 Hibiskus jû tewrê vılıkano. Taksonomiye de familyaya tolıkan miyan de aseno. Hibiscus abelmoschus L. synonym of Abelmoschus moschatus Medik. Hibiscus abelmoschus var. betulifolius Mast. synonym of Abelmoschus moschatus Medik. Hibiscus abelmoschus var. genuinus Hochr. synonym of Abelmoschus moschatus Medik. ↑ "Genus: Hibiscus L". Germplasm Resources Information Network. United States Department of Agriculture. 2007-10-05. Archived from the original on 2010-05-28. https://web.archive.org/web/20100528145907/http://www.ars-grin.gov/cgi-bin/npgs/html/genus.pl?5665. Retrieved 2010-02-16. ↑ "Hibiscus abelmoschus L. — The Plant List". http://www.theplantlist.org/tpl1.1/record/kew-2849449. Retrieved 26 October 2016. ↑ "Hibiscus abelmoschus var. betulifolius Mast. — The Plant List". http://www.theplantlist.org/tpl1.1/record/kew-2849450. Retrieved 26 October 2016. ↑ "Hibiscus abelmoschus var. genuinus Hochr. — The Plant List". http://www.theplantlist.org/tpl1.1/record/kew-2849451. Retrieved 26 October 2016. ↑ "Hibiscus abutiloides Willd. — The Plant List". http://www.theplantlist.org/tpl1.1/record/kew-2849452. Retrieved 26 October 2016. ↑ "Hibiscus abyssinicus Steud. — The Plant List". http://www.theplantlist.org/tpl1.1/record/kew-2849453. Retrieved 26 October 2016. ↑ "Hibiscus acapulcensis Fryxell — The Plant List". http://www.theplantlist.org/tpl1.1/record/tro-50137667. Retrieved 26 October 2016. 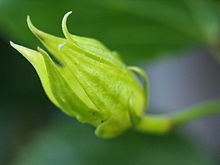 ↑ "Hibiscus acerifolius Salisb. — The Plant List". http://www.theplantlist.org/tpl1.1/record/kew-2849455. Retrieved 26 October 2016. ↑ "Hibiscus acerifolius DC. — The Plant List". http://www.theplantlist.org/tpl1.1/record/kew-2849456. Retrieved 26 October 2016. ↑ "Hibiscus acetosaefolius DC. — The Plant List". 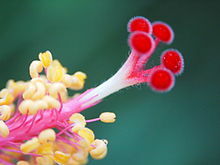 http://www.theplantlist.org/tpl1.1/record/tro-19600383. Retrieved 26 October 2016. ↑ "Hibiscus acetosella Welw. ex Hiern — The Plant List". http://www.theplantlist.org/tpl1.1/record/kew-2849457. Retrieved 26 October 2016. ↑ "GRIN Species Records of Hibiscus". Germplasm Resources Information Network. United States Department of Agriculture. Archived from the original on 2014-09-16. https://web.archive.org/web/20140916161458/http://www.ars-grin.gov/cgi-bin/npgs/html/splist.pl?5665. Retrieved 2011-02-10. Ena perre roca 18 Tişrino Peyên 2018 de, saete 07:55 de vırriye.